Rough Riders earn 2-0 win to net Class 3A state championship. Snohomish, which had won two of the last three Class 4A titles, finished in the top four for the fifth consecutive season. PUYALLUP – Vincent Duyungan couldn’t look. The right-footed sophomore launched a shot from the corner of the box with his left foot in the 45th minute and closed his eyes. He opened them when he heard the Roosevelt fans cheering. 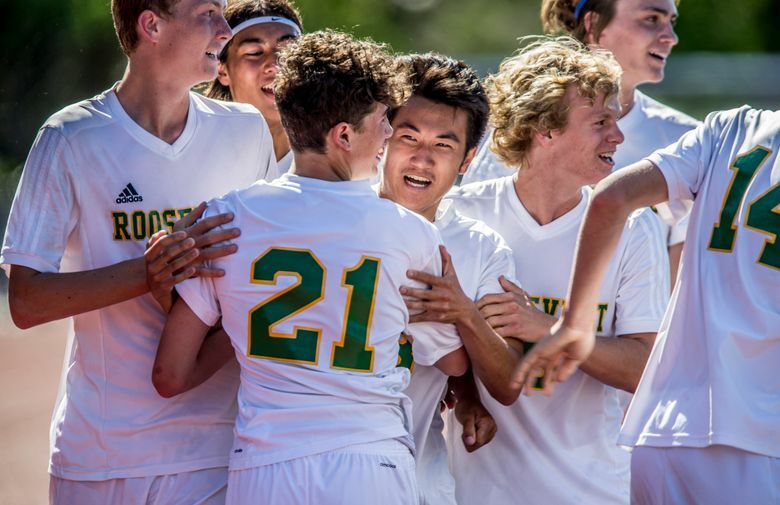 Duyungan’s goal gave the Roughriders the first goal of the game in the Class 3A state championship Saturday afternoon, and they would not relinquish it. 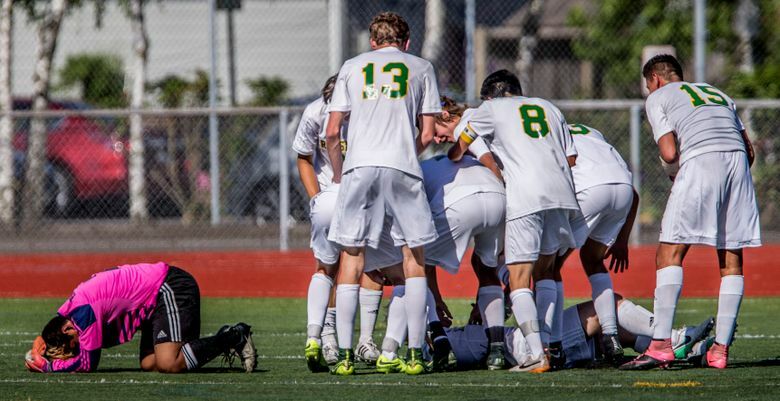 Roosevelt defeated Snohomish 2-0 after a late goal by Avery Jacobson in stoppage time clinched the first state title in the program’s history at Sparks Stadium. 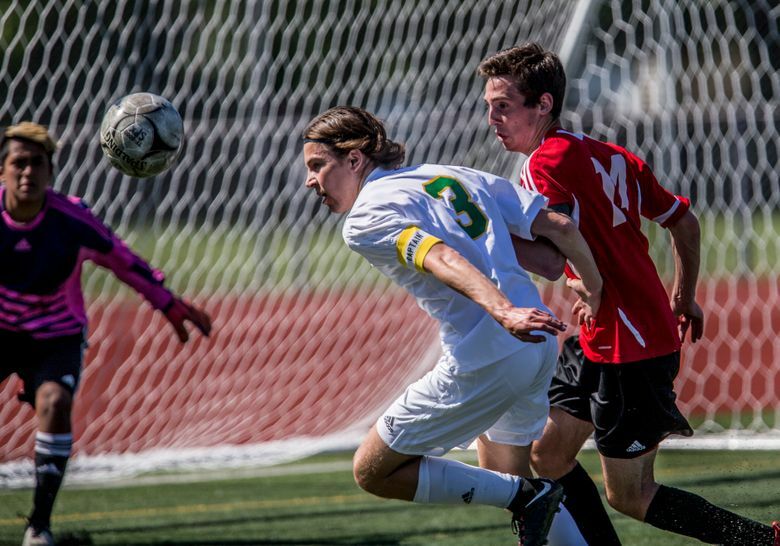 Roosevelt (20-2-3) had a 15-4 shot advantage over Snohomish, which was shut out for the first time this season. 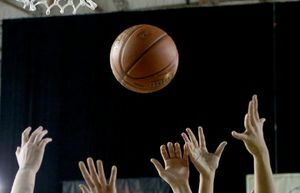 The Panthers, who finished in the top four for the fifth consecutive season, struggled against Roosevelt, which made a concerted effort to keep the ball away from Snohomish (18-4). “Going into the game our thought process was to really slow down and get the ball on the ground and possess,” Duyungan said. Roosevelt coach Gary Hunter celebrated as his players dumped a cooler of water on him on an 84-degree day. 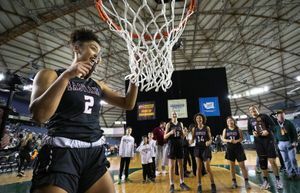 In contrast to Roosevelt, which was in the state title game for the first time in program history, Snohomish had won two of the last three 4A state championships and finished fourth at the 4A tournament last season. 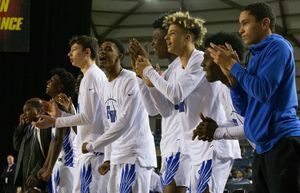 The Panthers moved to the 3A classification prior to the start of the 2016-17 school year and have continued their perennial success under first-year coach Matthew Raney, who replaced longtime Snohomish coach Dan Pingrey. • Chase Tovey scored the game winner in the 51st minute as Gig Harbor topped Garfield 2-1 in the third/fourth-place game. Garfield scored first as Philip Doherty scored in the 14th minute. Tyler Kasperbauer had the equalizer in the 51st for the Tides.